So much for our expedition. And what else to do on a rainy day? Here's my easy version of Jeanne Kelley's Orzo with Butternut Squash and Sage Cream recipe. I used Risoni instead of Orzo, and simplified the procedure for a quick weekday dinner. 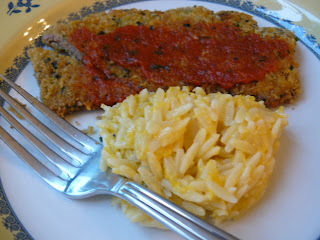 Serve with your favorite breaded cutlet and marinara sauce. Perfect! Saute butternut squash, garlic and sage leaves in olive oil for about 5 minutes. Add chicken stock, bring to a boil and then lower heat to simmer, covered, for about 10 minutes. 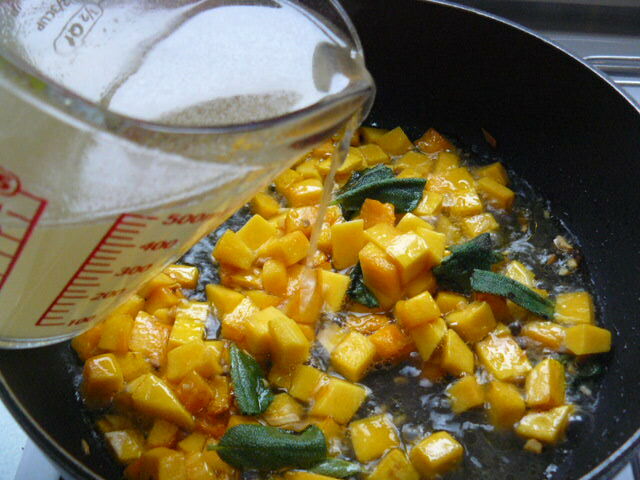 Remove cover and simmer for another 5-10 minutes, until liquid has almost evaporated. 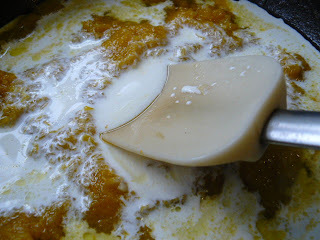 Lightly mash softened butternut squash with the spatula. 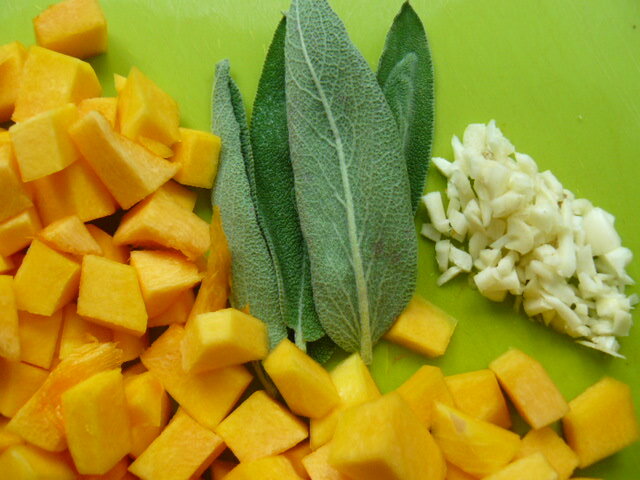 Remove sage leaves. Add cream, parmesan cheese and mix well. Check for seasoning. In the meantime, cook pasta according to instructions. Drain well and add to the cream sauce. Blend thoroughly. Transfer to dish and sprinkle parmesan cheese just before serving. Hi annie I stumbled on your website from the Kulinarya club. I'll be putting your links in my site. 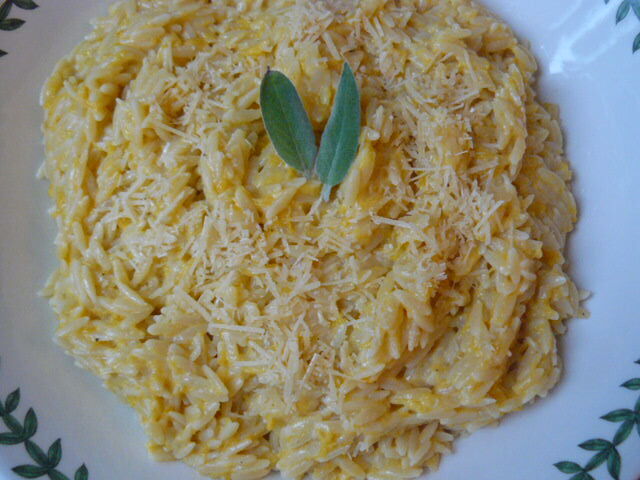 The meal looks so hearty :)and I love squash. even just roasting it. I've been to Singapore 2 years ago and I really enjoyed the food and the Filipino community there. Have a good one.